Paste Laos is our first expansion under Chef Bee Satongun, opening soon in the charming UNESCO World Heritage city of Luang Prabang. This is historical Lao cuisine, with the layered flavor and texture for which Paste has been acclaimed. Laos is a country with enormous pristine forests and unrestrained nature. The sparse, rural population, with as much connection to hunting and foraging as agriculture, fosters a strong connection to plant-centric cuisine, and a clever, precise, inherently sustainable approach to food. Laos cuisine is truly a melting pot, with heavy influences from Yunnan, Sharn, and other minority trade and tribal groups across its expansive forests, rivers mountains and plains. The rich culinary history shares greatly with other regional cuisines, including Thai, with unique versions of famous dishes such as khao soi (Thai: ข้าวซอย) (Lao: ເຂົ້າຊອຍ ) and yam naem khao thot (ยำแหนมข้าวทอด), (Lao: ແໝມເຂົ້າ). Laotian food has adopted from and contributed to many cuisines for hundreds of years due to constant exposure to merchants along the caravan trading routes stretching from the Golden Triangle, China and back to India. 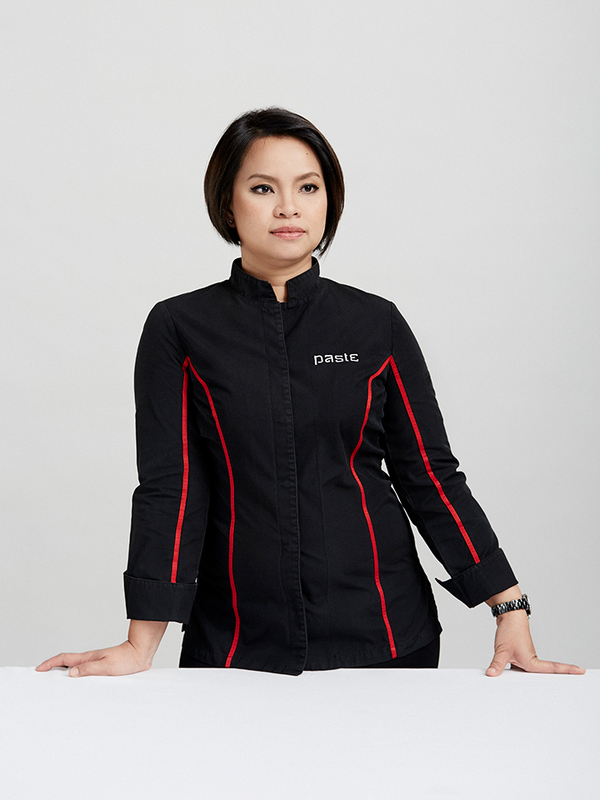 Chef Bee brings more than just skill, creativity and experience to the Paste Laos experience. Her family heritage traces back across northern Thailand and Laos, providing the very important genetic connection required to decode and represent these complex natural flavors. One man, Phia Sing, is recognized as the godfather of Laos food, for his well known cookbook, published posthumously. His knowledge of technique, ingredients, and deep connection to Lao culture, combined with his extensive and broad education and experience in the fine arts, music, architecture, politics, and world cuisine, qualifies him as the single most important influence in modern Laotian food. This heritage was built on history, experimentation, woodsmanship, deep nostalgic patriotism. And a desire to push Laos forward, both to preserve the past, as well as inspire measured, meaningful progress. Chef Bee shares this direct nostalgic connection to the roots and origins of Thai and Laos food. The Paste team is inspired and humbled as we study, breath, imagine and move steadily forward in creating this new local menu. We are absorbing new yet familiar flavors, techniques, ingredients, and philosophies. Our pursuit is searching out the excellence in a cuisine with a deep history in wild game, foraged herbs and plants, and many twists that are closely connected, both up- and down-stream, to Thai and other global cuisines. Phia Sing was truly a modern Renaissance man. 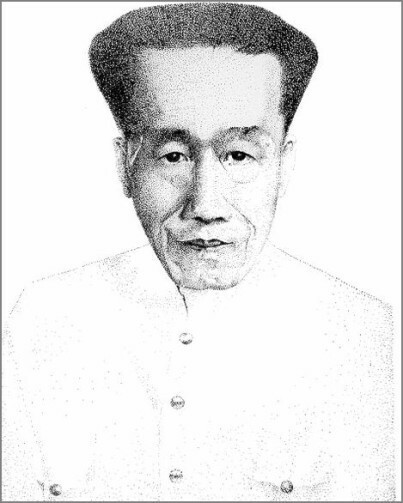 His life and work for the Laos Royal family as Master of Ceremonies as well as mentor to the young princes, provided his unique knowledge and familiarity with the recipes of the Royal kitchen, as well as close observation as old customs and rituals shifted and changed and adapted. The Paste Bangkok team, led by Chef Bee Satongun and Chef Patron Jason Bailey, are no strangers to creating loyalty among a prestigious clientele, which is in fact, composed primarily of a discerning local Thai customer base, a modern rarity to be sure. They are in a unique position to do the same in Laos. We at Paste believe that bringing a cuisine to the modern fine dining requires true commitment, and an ongoing journey to understand its formation over time and the routes the cuisine has traveled during its evolution. When we look at cuisines such as Thai and Lao, we don’t see something inferior, begging to be changed. We see food that at its historical height, was in a constant state of development. We can view royal appetites in a similar way to the modern gourmands: always curious, willing to try new things, and eager to adapt and improve on the best of those new discoveries. While it may seem like common sense, the Lao consider nutrition to be the most important component of food, a lesson that sometimes seems long-lost in many modern Asian and Western cuisines. Chef Bee’s focus on plant-based cuisine fits this concept very well. There is an amazing result when sauces and relishes are built from healthful ingredients using centuries old preparations such as fermentation, smoking and dehydration – both in depth of flavor, and in the levels of nourishment provided to the human biology. As we at Paste have dug deeper into decoding the recipes of Laos, we see Laotian history and culture through the pen of Phia Sing. It takes a dedicated team of many talents to see into the mind of a polymath minded artist such as Phia Sing – a rare combination of culinary, artistic, cultural and scientific understanding and experience. Our chefs train and prepare daily with incredible drive and flexibility. We are honored by their focus and dedication and skill. We look forward greatly to the day when we can welcome you our customers into our new dining room, and our chefs and staff can introduce you to the heart and soul of Lao cuisine. We are confident this special place will be an artistic beacon of cuisine, in this charming heritage city, in a country of prestigious natural beauty and stunning culinary resources. This is our new light, our canvas and our palette. We shall see you soon.